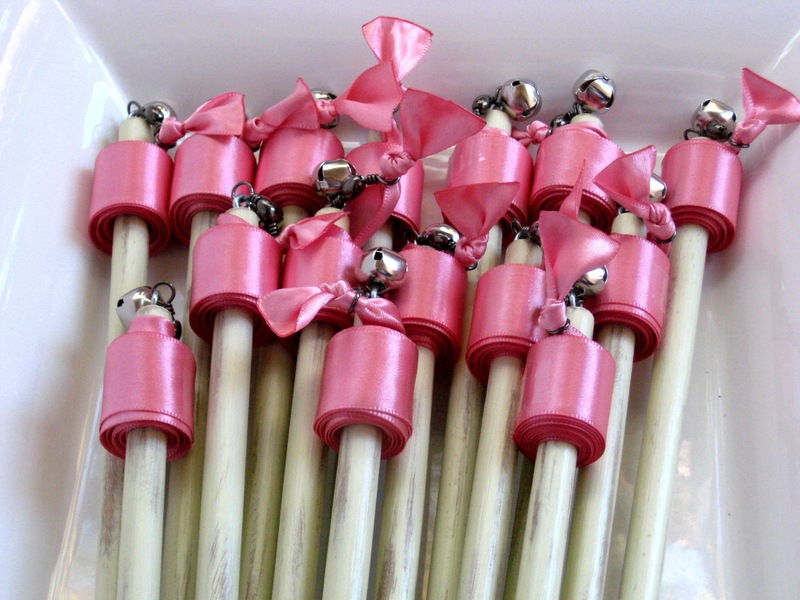 Last week I received a request for 15 pink ballerina Ribbon Wands for a 5-year-old's birthday. The party was in less than 10 days. 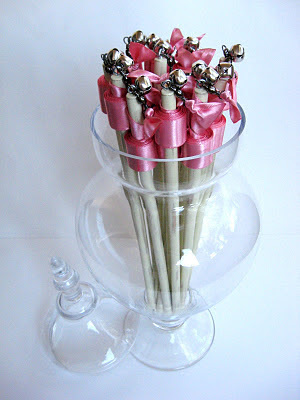 Luckily I'd been working on these antiqued ivory wands for a future wedding listing. 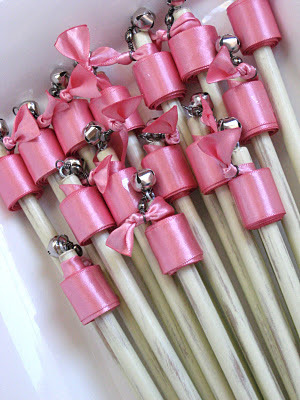 A little bit of soft satin ribbon in pink and they transformed into darling shabby chic ballerina wands. 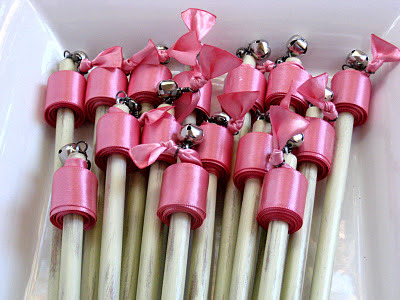 I have to say, I'd love to see pictures of 15 little 5-year-old's in ballerina outfits waving ribbon wands. 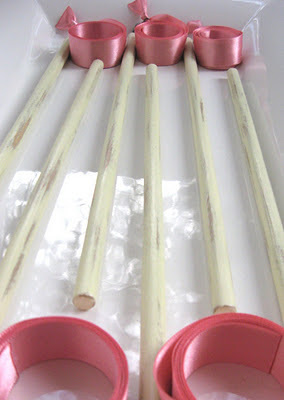 I hope no one gets hurt!